Fire detection systems are designed to detect fires early in their development to provide a reasonable time-frame for the safe evacuation of the occupants. Early detection not only increases chances of maximum removal of people but also reduces the property damage and a planned downtime of power ensures that fire doesn’t spread rapidly. 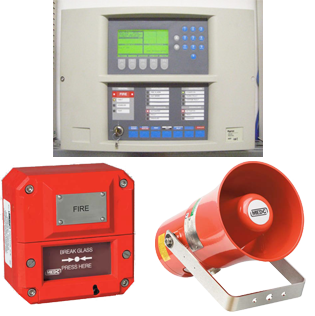 Fire detection system raises the alarm and provides necessary information to emergency responders on the location helping in speeding up the whole process. As a Kuwait Fire Department (KFSD) approved Grade 1 contractor, SSS brings together the latest fire detection technology to provide systems complying with local fire & safety codes and customer requirements. International: UL, ULC, LPCB, VDS, FM.